The pious couple Venkatasubbaiyer and Alamelu Ammaal lived in Tiruvisainallur. 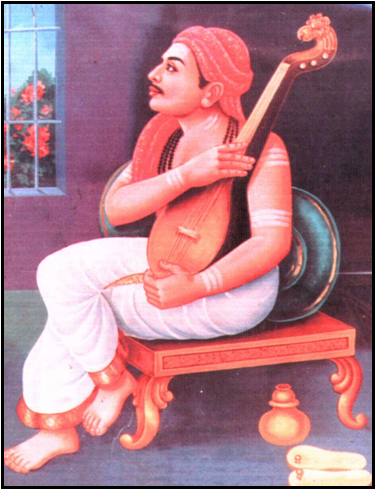 Venkatasubbaiyer was a Rama bhakta, had studied the Vedas and shastras and earned his living through priesthood. To this pious couple was born a son verily as an avatar of Rama. He was named Venkataraman. This Venkataraman grew up to become a great mahatma, Sri Marudanallur Sadguru Swami, who spread the greatness of Nama sankirtanam and set the famous south-Indian bhajana sampradaya that is followed by bhagavatas even today. Here is an incident that happened in the life of this mahatma when he was still the young boy Venkataraman. In accordance with worldly life, Venkataraman was taught the Vedas and shastras. He soon became an adept in them. He also had deep knowledge in music. He began to practice priesthood, like his father. Once, as Venktasubbaiyer had an appointment elsewhere and as the young Ventaraman had learnt to conduct ‘sraardha’ (annual rites for the deceased), he sent his son to Karpur (near Kumbakonam) to conduct the sraardha ceremony in a family. Venkataraman used to chant one lakh and eight thousand japa of Nama daily. While doing Nama japa he would become immersed in it. He set out early in the morning to Karpur. As he neared a Ganesha temple on the way, he decided to sit there and complete his Nama japa as there was still a lot of time left before the start of the sraardha ceremony. So he entered the temple and sat for japa. His mind went deep into it and lost count of time. When he finally regained consciousness of the outer world, it was evening! The auspicious time for sraardha had passed! Realizing there was no use for him to go to the house for sraardha, he returned home. At home, he had to admit to his father that he did not do the sraardha. He did not give any reason for it as he did not want to boast that he had gone deep into japa. The father was confused and returned home. 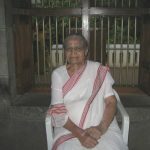 At home, he asked Venkataraman why he had said that he did not go when he actually did. 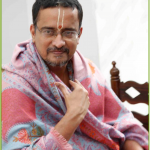 Venkataraman replied that he really had not gone but that he had actually stopped to do japa at the Ganesha temple and had lost count of time as he was immersed in dhyana of Rama. Only then did the father understand that the Lord himself had gone to the householder’s place to do his son’s duty! When a Bhakta forgets himself and his work due to thought of the Lord, the Lord himself does the devotee’s work!